Question: How to make 200 dollars a DAY online? $200 a day – sure would be nice to make that kind of money online, wouldn’t it? I know for myself, as with a lot of people, that kind of income made from home can really be… well, it can be life changing. This blogger makes over $50,000 a MONTH with her blog! Isn’t that awesome? Sadly, too many give up on blogging before they get there. They let their heads get filled with ideas like “easy” and “fast” and “simple” as if making money online happens overnight. While thousands of dollars won’t come your way overnight, it IS DO-ABLE. This is how I got there – and how you can get there, too. In a hurry? Want to Save This Info? Getting to $200 a day online was a big milestone for me – everything changed. Better yet, once you get to that earnings point, it just snowballs and all the effort you put in to getting to that 200 dollar a day milestone, builds momentum and takes on a life of it’s own… and continues to grow with virtually NO effort! It’s cheap, it’s fun, and it’s very profitable. Blogging, when done properly, can be VERY profitable… and it’s PASSIVE income (meaning: once the work is done, your blog is out there working FOR you 24/7. If you’d like to learn the RIGHT way to have a very profitable blog, I’d like to recommend this SUPER helpful course. She makes over $50,000 a MONTH from her blog! In fact, she has ONE blog post that has earned her over $300,000. She knows what she’s doing…and she’ll teach YOU how to do it, too. If you are ready to finally make the money you want from your blog and you want to learn the right way to do it, check out this training. I was VERY impressed with how thorough her advice is, yet it’s practical and very “do-able” for all bloggers. Yes, absolutely start a blog! If you’re totally brand new, there is a great community and learning center to check out. And, you even get a FREE blog here! It’s a great place to start and learn how this blogging thing works. Ready to learn how blogging for money works? Ever thought about having your own blog? So, how can you get to earning $200 a day or more online? Think about it, how did YOU find this page you’re reading right now? Perhaps from Google or Pinterest? Trust me – you NEED to start a blog! First off, we all know screen shots can be a bunch of crap. Secondly, I have been sick as a dog and I’m a tad bit cranky from sinus pressure (sorry, too much information? haha!). If you read here at PotPieGirl.com enough, you already know that I take serious issue with this perceived need to flash my account earnings on the internet in order to have credibility to prove that my info is worthy. So, I’m not gonna do that whole, “I’m rich… I make money in my sleep – see all my earnings…” stuff, ok? However, I will give this. Those numbers in orange in the picture about are earnings for ONE day from ONE source of blogging income. But that didn’t happen overnight – I had to learn HOW to MAKE it happen. How Does Being an Amazon Affiliate Work? Being an Amazon affiliate is free. After signing up, you add special links to your web pages that link to products on Amazon and when people buy things through your special links, you make money. And it can be really easy to get to $200 – $350 a day online IF you learn the right way to do it. the training is exceptional and support is awesome…but best of all, the COMMUNITY is so wonderful and helpful and just a joy to be a part of. They offer wonderful step by step detailed training that is perfect for ANY level of experience – with the community support you need. Read this blog post that details which training is right for YOU. Otherwise, I’ll give you my two cents if you’re new. This class/training/support group is PERFECT for beginners and it WILL help you. It will take you from beginner (or “clueless”) to having a plan, knowing how to execute that plan, and making money in a way that you can rinse and repeat and GROW. That course above will help you find your niche, find your keywords, teach you the right way to set up your site, and solid SEO skills. Now, if you have the basics down, but you want to earn MORE and see better results from your efforts…. more than many of us will earn all year…. or in multiple YEARS. They have so many wonderful tutorials that can guide you from beginner to making the big moo-la! So… now that we have THAT out of the way…. Q. I’m brand new to internet marketing – Will it work for me? A. Internet marketing can work for ANYONE… well, if you have access to a computer and the internet. Q. What other costs are associated with those sales? A. Other than a few bucks a month for domain names and hosting – nothing. There are no other direct costs associated to make those sales. Ok, NOW can we move past that? How Did You Get To Earning Over $200 A Day Online? Before anything else – get the words “easy”, “fast”, and “simple” out of your mind. You are building a business. But you do NOT need “pipe dreams” standing in your way. If you want to learn how to make money online starting with very little money to invest, these are the things you do. As you make money, you reinvest into your education, your tools, and your business. __ Learn the basics of all this online marketing stuff. __ Learn how to get a site online in ONE day. __ Learn about keyword research. __ Learn how to write your content so that it converts to sales. __ And learn how to get LOTS of FREE traffic to your site. If you’re on a budget, this is your best option to get started it’s one heck of a deal – and this training center is free AND you get a free website. There are also tools you will want/need to do these things so prepare for that, too. Tools are super important. You don’t need a LOT of tools, just a few GOOD tools. That Sounds Like A LOT To Learn! Yes you can… you absolutely can. If you’re absolutely overwhelmed, just start right here. You will also need support and a community you can count on for help and feedback. Working online can be a bit lonely at times and it can also be VERY over-whelming when you feel you are going at it all alone. Community is important as you move through this stage. It will help keep you motivated, involved, and also help you build a network of marketing peers that will be able to help you (and YOU help THEM) through-out your entire career. I have found all of those things at Wealthy Affiliate. Beyond the endless tools, resources, and tutorials, the community there is flat out amazing. There is also THIS amazing community of people all learning from the very beginning – you should join in with them. they are SUPER helpful… and FUN! As time passes, you will find you have a lot of knowledge in-between your ears, but feel a lot lost as to what to DO with it all. It is time to begin a daily plan of action so each day you have focused goals and can see yourself being productive… AND you get to see RESULTS. This is crucial…and this is the part where 95% give up. Whats the saying? Fail to plan and plan to fail? Something like that…lol But you need a way to put it all together using free online methods and get some money coming in. You also will want an action plan that is also a strong root system for your entire online business that you can build on. Once you have the basics down, you’ll absolutely want to continue learning ways to do better and earn more. Now create your own niche sites. Creating your own niche sites is NOT hard – especially if you use WordPress to do it. Don’t stress and get confused now. This page explains what a niche site is and how they make money. Yup, that’s right! When you’ve got a site that converts to sales for you, all you need is more targeted traffic to make MORE sales. At this point, learn more ways to get free traffic to your web pages. I’ve been using Pinterest to get GREAT free traffic to my sites, I’m really blown away by how well it works (and how easy it is). You can see how I’m using Pinterest for traffic and sales here. Can you see how each of these steps lead to more growth and more sales? That is the beauty of it! While you are working through those steps and learning (AND earning) you will be coming across great campaigns that YOU created that are ready for more targeted traffic. AND, you will be READY to learn how to do that! That is a really tough question for me to answer. After all my own trial and error, I have isolated the steps down to these five. I know that if I had just joined Wealthy Affiliate when I was first starting out that I could’ve cut 4-5 months off the learning curve of my own painful self-education. I didn’t have this exceptional training info for beginners available to me so I had to figure it out myself. It took me about a year – give or take. I fumbled my way around and made my way thru all the junk and empty promises just to get to these basic five steps. The education you need to get to $200 a day online is right up there in those five steps. Regardless of any “hype” on the sales pages, I pinky-promise that they are all high-quality programs that I have not only read, but I USE (or I wrote it…. 😉 ). Everything you need is there. I know they work – I’m absolutely positive that when you work these things, these things will work for you. What Can Hold You Back? 1) Getting distracted by “shiny things” – The goal is to spend the least amount of money as possible to learn to have a profitable online business. Each time you stray off path and get distracted by the newest, latest-and-greatest super system (ie, the shiny things), you are setting yourself back. This is the only way “shiny things” can MAKE you money – In fact, I think ALL bloggers should do this. Do not spend a large amount of your time tracking and fretting over things that are already out there in the free campaign “cooker”. If it fell out of the Google index, it will come back. You watching it will not make it happen faster (voice of experience there…haha!). Keep moving forward. Once you have a good bit of stuff out there, you won’t have time to track every little detail. Once upon a time, I kept a spreadsheet of every single web page I had at the time (not many…about 20) and every single day, I tracked the stats on each one. What a waste of time. I could’ve been spending that time making MORE web pages. Take one day a week and set aside stat checking time. Pop thru your campaigns, see how things are going… If your web pages aren’t making many sales, take the steps on this blog post to learn how to make sales from your web pages. It’s the 80/20 rule for this too. 20% of your campaigns will be responsible for 80% of your earnings. Keep making those campaigns and uncover all the profitable little markets you can. So, there you have it. Five steps to $200 a day online (and then some). – How Do You Create a Blog and Make Money? – Can You Make Money From Home with NO SKILLS? – What is the Best Way to Monetize a Blog? Great post Jennifer! I hope you feel better soon. I joined Wealthy Affiliate recently btw – what an amazing site – wish I’d joined earlier! Just wanted to come back & add to my previous comment – I really appreciate how your information (your book & blog posts) gives such a clear plan to follow. I’m not totally new to IM, but had been floundering a bit, wondering what to focus on first. Now I know exactly what I’m doing each day & how it all fits together, & it’s much more fun. I’m aiming to hit the $100/day mark in about 6-8 months (or less), and $200/day by the end of next year, and actually feel confident that I can do it now. This is an excellent post. So clear and concise. I think it is really imperative to have a plan. I think having faith the plan will work means a lot, so the fact you are using the same plan is important. It is so easy to get distracted by the “shiny things”. Geez, I have been doing this for a long time and every time I turn around I see myself doing something else, and have to veer back to the original plan again. I am going to take your mantra to heart. Next year, focus, one plan, one goal! If you do for a year . . .
Hope you feel better soon. Sending you some virtual chicken soup. As someone who is quickly approaching the 200 dollar a day level I can vouch that Jennifer has the process spot on. I’ve used different tools and resources to get there, but that only serves to validate the method. captain squids last blog post..Can Squidoo Make you $500 in one day? Yep. I want to warn anyone trying to make a living online they should be very careful how they take their payments. In August my site was mistakenly identified as a malicious site by Trend Micro, PC-Cillin and immediately blocked globally for no reason. I was blocked by Gmail, Yahoo mail, Microsoft and in all Trend Micro (PC-Cillin) end user anti virus software. Call your site host and add a SSL certificate to your site. This is stop most browser warnings from Norton, AcAffee and Trend Micro. It is like $30 a year. Any payment software, IPN scripts, download protectors or any form that submits to a PayPal product page must use https in the form submission URL. PayPal buttons are fine, they use this. You can tell this problem is occuring if you have goal conversions set up in Google analytics. Check to see if you are selling any products to visitors using Internet Explorer 7. Please tell anyone you know to look into this so that this does not happen to them. Tons more documentation is on both my sites. If I can help anyone do not hesitate to call me. Wow, I’m really new to all this marketing jargon. It’s refreshing to here it all in a no nonsense sort of way that an average guy like me can understand. thanks for all the insight and free tips everyone else is trying to cash in on! Thanks for the screen shot 🙂 ha ha… I always say, who cares about screen shot, if you are going to show me how to do it, but of course, people believe you more if you show a screen shot. The value of the time is so important. And I realized this just recently and I had a small talk with myself. 🙂 No more working over 40 hours a week. Find the niche, test it in 5 days, any profit great, work it, and if no profit find another niche! But move quickly! You have such interesting posts, I look forward to reading whatever you write. I get great entrepreneur ideas from you. Really great post, PPG! I am a relatively new member at WA, and have been doing the “learning” cycle as you recommend by going through all the resources there, but haven’t really started taking action yet. As you said, it can be a little overwhelming. But this post makes it much clearer, in such a succinct way. I like the realistic, down-to-earth tone about what to expect, how long it will take, etc. It is also motivating to know that if one just sticks to the plan and takes action, the results will come. Thanks for sharing all this with us (for free!). I believe there are some products for sale out there that wouldn’t give substantially more info than what you have given right here. Keep up the good work, and get better soon! I’ve been in business most of my life-started 2 successful businesses that ran for many years until i knew it was time to end them. I’ve been in sales(successfully) for over 20 years and right now it stinks. I’ve been searching for over a year and buying get rich quick systems to no avail. I now realize that I’ve had the wrong approach. I know that i have to find the right one and dedicate myself to it. I finally ended up at WA(less than a week) and feel more comfortable because of the tremendous support from the forum and wealth of information. One of the members told me to start reading your material. I’m very impressed. I’m overwhelmed with so much information and not sure what to do first. Because of my failed experiences in the internet world,I’m gun shy and very skeptical. i need to see a sale(hopefully more than 1) to show me that I’m heading in the right direction. I’m considering buying your book(thru the forum member) and I read your e-mail about the five steps. First-Can I realistically, with your book and WA(following their 8 week program), expect to make a sale in these first 8 weeks without investing any more money. I’m, of the philosophy now, that I want to see some results before I further invest (my skepticism). Can I learn to do Squidoo Lens myself without getting frustrated or should I buy the Squidoo Cash machine that you recommend? If I have your book,WA membership for 2 months(will extend if it is working) and the Squidoo Cash Machine, can I see some sales in the first 2 months to assure me that I’m on the right path. I’m not asking you to be a mind reader. I just want to know if these are enough tools to get started and achieve sales or am I leaving out the big component of driving traffic without a website? Any guidance would be greatly appreciated. I just want honesty to determine if my efforts will be rewarded(assuming that I work hard) or are there other factors that I’m not considering? Thanks so much for your time. I’ve enjoyed reading about you and I look forward to reading your book. Jennifer…Just purchased your One Week Marketing about ah 1 week ago. I’m a Granny helping raise 2 grandkids, have a handicapped daughter living at home, husband out of work AND I own a small massage practice here in Ohio. That said, I’m going to take your OWM, devour it, DO IT, step-by-step, and prove it works! As Yoda said “Do – don’t do; there is no try”. DO have a question…when you say you began a new OWM campaign and did 6 lenses, were they all for that 1 campaign?? I’d love to ask LOTS of ?? but know this isn’t the platform to do that. After clicking Commission Blue Print, i’m sold on PPC again. I didn’t buy it yet, but i’m sure i will. WA offers article mktg/ppc accreditation, how do you feel about those programs. I go back and forth between article mktg / ppc for my first step. After looking @ Instant Article Wizard / Pot Pie Girls, i thought maybe. I leaning back to ppc. I’m still couple weeks out from getting started. Should have better idea as to which way to go by then.Great Stuff. Thanks again. I clicked Commisision Blueprint and I’m sold on PPC, again. I didn’t buy but I’m sure I wil. Since you recommened it. WA offers article mktg. / ppc cert. how do feel about those info. products and Instant Article Wizard ?Shiney things like the Wiz and Pot Pie Girls have me reconcidering article mktg. I’ll have a better idea as to which way to go in a couple weeks. Thanks again. Great stuff! I joined Wealthy Affiliates on April 10, 2009. I have been reading your posts and it is very motivating. I will try to following your blue print. Thanks for all the useful information to get started. Thanks for all the info. Now I have to act. Thanks for all the information. I’ll buy your course after I take the course & hopefully make a little money. Right now I don’t have any to invest. Thanks for the motivating words! Really want to see this through and see what happens. Hoping for the best! Anyone who has posted in months past wish to update us newbies and share their successes? It is a great relief for people who are new in internet marketing/affiliate marketing as well as those who do not know where to start to have Ms Potpiegirl and this website of information. I would advice online income seekers and other newbies in this internet/affiliate to make it a habit to visit Potpiegirl.com as you can find a ton of informations that you need to get you going. I have been a fan of hers because of her generosity in giving out very valuable informations. I am about to buy her ONE WEEK MARKETING PLAN right at this moment and will follow what I found here in this webpage of hers. Thank you for providing such helpful information…please keep it up! This is excellent “keep moving” inspiration & support! Incredibly valuable info for people like me who has the idea. As usual, great reading material. I just love the way you write, so easy to understand for us Newbies. I have just bought One Week Marketing and am currently going thru A Conversation with Nick and can’t wait to get started. I have one initial question, I keep hearing about Wealthy Affiliate, how does this tie in with OWM? This is the first time I’ve read this blog. Very impressive. Potpoegirl, you are a real go-getter. Very inspiring. Thank you for sharing , I’m heading over to Wealthy Affiliate right now. What’s your take on HubPages? I’m not sure I understand the current drama with Squidoo. I tend to not want to publish articles that aren’t monetized, what do you think of ezinearticles etc? I’ve been trying to make a go of it with internet marketing for about 3 years now, (you’d think I would have given up by now huh) and been ripped off royally. I lucked onto your site by accident and am very glad I did. I love what i’ve seen so far. Been reading these posts and think they are great. Read your 5 steps all the while going uhuhuh. Great stuff. Am about to head over to WA to sign up as soon as I submit this. Wish me luck. I look forward to sending you some posts about some success soon. 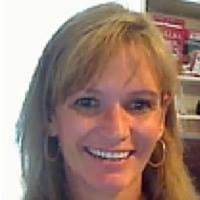 Hi Jennifer, I hope u get well soon, I think your web pages are awsome & so informative, If i get half as good as you. I will be more than happy. Jennifer – thanks so much for this website and Squidoo Help!! Hi Jennifer! I hear you’re not feeling well. Last winter I caught the flu and after taking extra strength Cold FX (American Ginseng), it only lasted 2 days! You might want to give it a try. Here in Toronto, Canada it’s often available at Pharmacies. Maybe where you are, too. you are my hero on my squido lenses. You are the most generous internet marketer i have ever come across online.You give a lot of free info. your one week marketing have helped me much. Plus i joined Wa. I am learning all the stuff and hope one of these days i can make some money. thanks also for your very informative site. Do you ever use usfreeads.com for marketing? Does anyone here use them and have had any success? I am brand new to Squidoo.I just started working on my first Squidoo Lens over the weekend. While looking at a bunch of lens to get a feel for Squidoo, I came across you. After reading about a dozen books on SEO, countless hours looking at other web sites and articles, you have quickly become of my favorite sources of info. I just wanted you to know, I appreciate your help, and I am now one of your many fans.